If you’re looking to pull more attention toward your office or business, using color and visual cues will help. Vinyl banners are ideal in grabbing attention because they’re everywhere — but making yours stand out is the trick. Large graphics, custom cuts and bright, vivid inks will pull the eye toward your display, whether that’s on your roof, on the side of the road or in your conference room. Our team at SpeedPro Imaging Austin is knowledgeable in design and marketing. They’ll help you decide what areas of your brand you should be highlighting with your banners. If your company works within Austin or the surrounding areas of Central Texas, reach out to our team today to begin your banner customization process. At SpeedPro, we’ll produce top-quality products to show off your office or building with banners that have integrity. 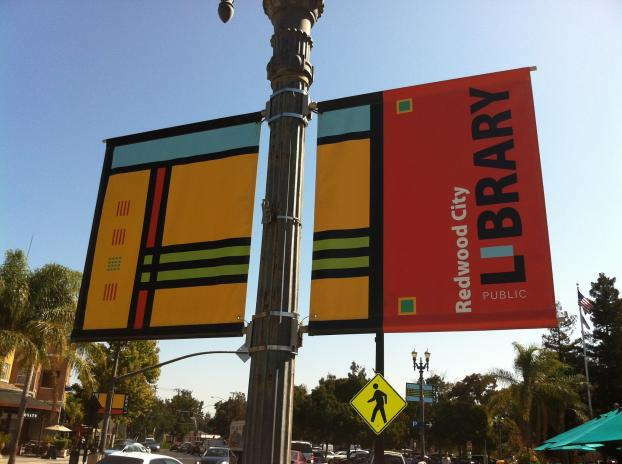 No one wants to put tattered or dull signage outside or around their business — which is why our team is so attuned to what makes banners attractive. Using vinyl strengthens the material of your banner, allowing it to withstand multiple conditions and be on display for a lengthy period. Fade-resistant inks also ensure your design will stay looking as admirable as the day it was first printed. Our custom banners can also advertise wherever you want to promote your brand — as your branding needs change, so can your banner. For example, you might have one positioned in your lobby that provides a bullet list of all the benefits that come from a service you provide. 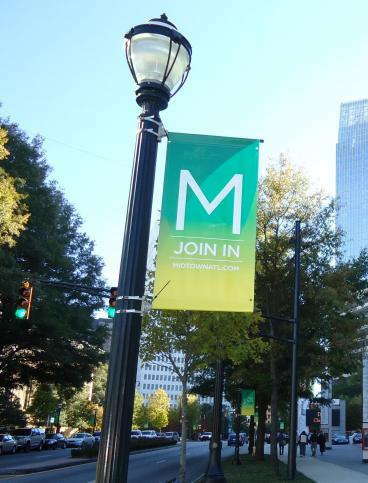 At some point, you’ll host an outdoor event — welcoming people just walking around to learn more about you — and this informational banner will be the perfect piece to captivate an onlooker. Banners that are durable, attractive and versatile will provide optimum visibility for your brand, convincing countless customers to stop by. Blackout banners are a favorite thanks to their blockage filter. They have a thin layer positioned in the middle of them that blocks out any excess natural or artificial lighting. This feature comes in handy for anyone with a double-sided banner, allowing both sides of the banner to be read without any interference. Another excellent feature available at SpeedPro is the mesh banner. 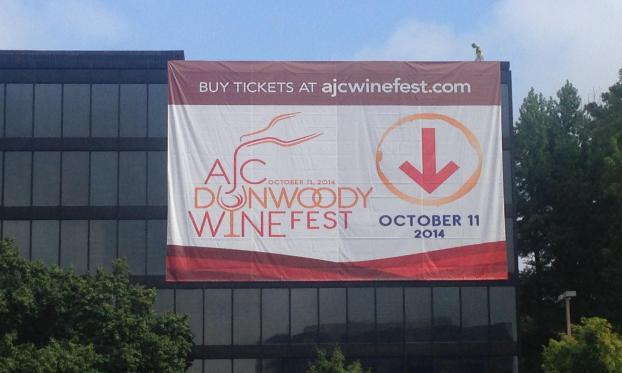 Typically, if a banner is prepped for windy conditions, it will come with slits in the side. This design actually allows the material to be damaged much faster. 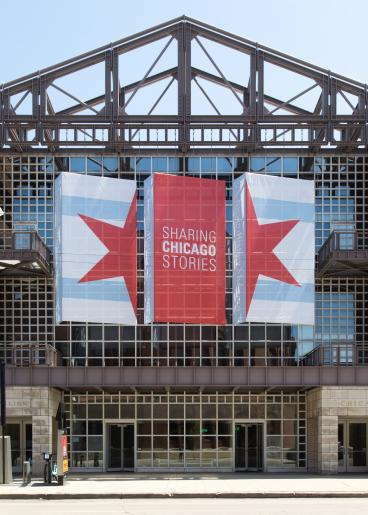 Instead, our mesh banners are created with 70 percent airflow allowance, creating less of a risk of damage or tearing in harsh outdoor conditions. Now, you can leave your banners outdoors without having to drag them inside at the sight of rain. Keep your brand on display at all times, inside and outside, with vinyl business banners. Call us to schedule a consultation appointment, and we’ll meet with you to discuss your requirements and expectations.